Introduction of higher meth testing levels, as recommended by Sir Peter Gluckman’s game-changing meth report, would lead to insurance premiums coming down, according to one insurer. 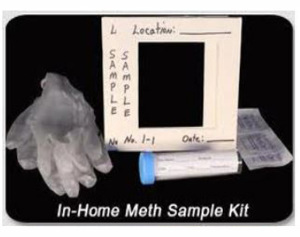 The report, which looked into the health risks of third hand exposure to meth in residential properties, found that where meth has been used – rather than manufactured – it poses a negligible health risk. It also suggested the revision of the current testing regime and the introduction of much higher testing levels (15 micrograms per 100cm2 as opposed to 1.5 micrograms per 100cm2). Initio founder Rene Swindley says that if the 15 mg level was adopted as the standard for meth testing that would, eventually, lead to insurance premiums decreasing. That’s because insurers have been paying out for big meth claims at the 1.5 mg level for some time now and those pay-outs have been one of the major reasons for premium increases in recent years. But he also says that until the existing standard is changed or the Ministry of Health adopts Gluckman's recommended level in its guidelines, the 1.5 mg level technically remains the safe level. Swindley says it is time for the madness to stop and Gluckman’s recommended level to be adopted. That would mean the same level is applied across the board by everyone, including insurers. It would clarify the current situation where some organisations have adopted the 15 mg level while others are sticking to the 1.5 mg level, he says. “I think Housing Minister Phil Twyford is aware of the confusion and, like many, I’m waiting with bated breath for an announcement that will clear up the situation.